Quick. When I say the word sports, what do you think of? If you’re a fan, it could be football, basketball or soccer. Perhaps it’s tennis or golf. For some, it might even be chess or bridge, both of which are recognized as sports by the largest international sports organization. What about competitive video gaming? Is esports a sport? What, you may ask, makes an activity a sport? As it turns out, there’s no one definitive answer. In fact, it’s an ongoing debate. One that’s been raging for hundreds (perhaps thousands) of years. Even the pinnacle of sports achievement and spectacle, the Olympic Games, has included (or banned) varying “sports” since its start in the 8th century BC. In our particular moment, esports is at the center of the debate. Among the free online dictionaries, each offers a version of this theme: Sport is an activity that includes physical exertion, skill, competition, and entertainment. The one main variation on this theme: the degree of emphasis on the physical aspect of the sport. According to the Oxford dictionary, a sport is an activity involving physical exertion and skill in which an individual or team competes against another or others for entertainment. Dictionary.com downplays the physical. How athletic, after all, is hunting and fishing? An athletic activity requiring skill or physical prowess and often of a competitive nature, such as racing, baseball, tennis, golf, bowling, wrestling, boxing, hunting, fishing, etc. It all comes down to one word. It’s an and/or conundrum. Physical exertion and skill. Versus, skill or physical prowess. Wikitionary.org goes for the “or” but adds the requirement of a set of rules. The American Heritage Dictionary, on the other hand, insists that both are necessary. Merriam-Webster boils it down to bare-bones: Sport, noun. A source of diversion: RECREATION. Choose one definition and esports qualifies as a sport. Choose another, and it’s a harder sell. Sport purists tend to insist on physical athleticism. But the cultural zeitgeist is clearly skewing toward more inclusive views on sport. Should esports be considered a sport? Let’s look at what some experts have to say about the matter. All forms of physical activity. Sure, esports isn’t tremendously physical. But to compete well, esports athletes do need tremendous physical stamina. Consider as well that many call auto and air racing sports. These, too, require stamina more than physical prowess. Finally, there’s that “all.” Pretty all-encompassing. Casual or organized participation. More than three-quarters of U.S. teens play video games (casually). 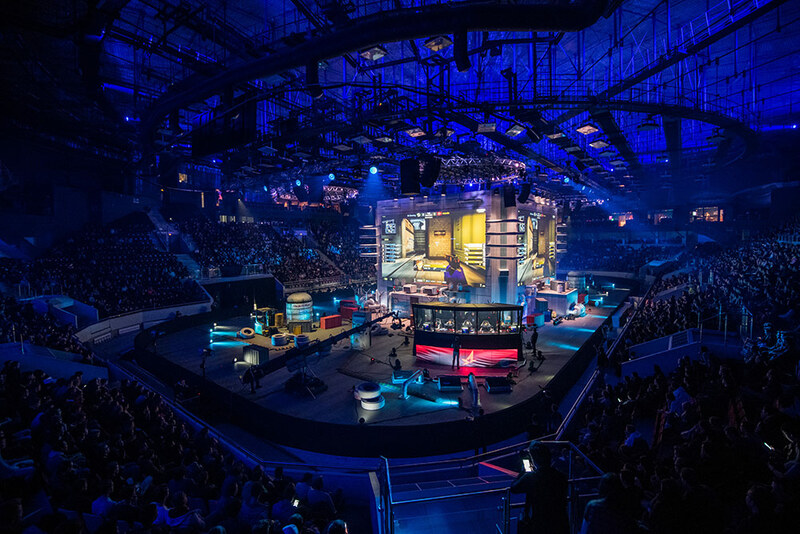 Organized competitive gaming has become a billion-dollar industry. Aim at expressing or improving physical fitness and mental well-being. Many so-called sports (racing, polo, golf) can’t claim physical fitness as their main goal. Virtually all contenders for the title sport, however, improve mental wellbeing. Esports included. Forming social relationships. Many video game enthusiasts form strong social bonds with players they never meet in person. Organized esports teams take the social aspect of gaming to a new level, bringing a purely virtual experience into the physical, social realm. Obtaining results in competition at all levels. Esports tournaments offer competitive venues for high school, collegiate and pro gamers. A host of less elite leagues offer organized competitions online for gamers at virtually any level. Other governing bodies take a broader view of what should be considered a sport. The International Olympic Committee (through ARISF) recognizes both chess and bridge (as well as air and auto sports) as bona fide sports. The largest, most all-encompassing sport organization, the Global Association of International Sports Federations (GAISF) agrees. The GAISF recognizes numerous non-traditional, non-physical sports. Among them: bridge, chess, and checkers (draughts). It’s members include organizations from a huge range of sporting endeavors. From the traditional, like tennis, ice hockey, and American football. To the less familiar, such as minigolf, tug of war, and sled dog sports. The GAISF is considered the de facto representative of international sport. If recognizes sports as being primarily physical (boxing, football/soccer). Primarily of the mind (chess, bridge). Primarily based on coordination skills (darts, billiards). Predominantly motorized (air sports, motorcycle sports). Or primarily animal supported (polo). Within this worldview esports clearly has a place to dwell. Sport is all about leisure. From couch-bound fans to local league participants. High school athletes to community club members. It’s about how we spend our free time. Pro players don’t count. Their athleticism is a job. Their spectators, absolutely do. Whether in the stands or on the couch, sports as entertainment is a break from the obligations of life. A vast range of activities fall under the umbrella of leisure. American’s favorites? Watching TV, socializing and non-work computer use. Sport comes in a close 5th after reading. The “other” category encompasses everything from gardening to doing crossword puzzles. Most of which clearly bears no resemblance to most definitions of sport. Another angle in this many-faceted debate is how sports are distinguished from other competitive activities. Countless competitions are held annually across the world. Just about anything imaginable goes. Competitive eating is a thing. So is competitive wife carrying? Hoop rolling, sheep herding, and baby races can be found in the U.S and elsewhere. There’s even a rock paper scissors league. How to decide which qualify as sport? We turn to ESPN for insight. It claims to be the “Worldwide Leader in Sports” after all. Clearly an expert in all things sport. The mega-media conglomerate holds the rights to cover sports ranging from the U.S. College Football Bowl games and Major League Baseball to the Masters Golf Tournament and Formula One racing. ESPN also broadcasts Nathan’s Famous Fourth of July International Hot Dog-Eating Contest, which, in 2018, earned a higher viewership than any July 4th Major League Baseball game. And it’s been covering the Scripps National Spelling Bee since 1994. Where does this sovereign of sport stand on esports? In 2014, then ESPN president John Skipper had this to say about esports: “It’s not a sport—it’s a competition.....Mostly, I’m interested in doing real sports." Many found this a tad hypocritical, given the network’s history of airing coverage of bass fishing and poker. (Not to mention hot dog eating.) Then, just a few months later, ESPN2 televised the collegiate esports tournament Heroes of the Dorm. The two-hour broadcast showcased students competing at multiplayer Heroes of the Storm, with play-by-play commentary by other gamers. That, as it turned out, was the tip of the iceberg. In March 2019, ESPN Events announced that it would host the first-ever ESPN Collegiate Esports Championship (CEC). At the college level, the NCAA takes a hard line on the inclusion of physical exertion in its definition of sports. It does not yet include esports on its roster. Neither does it’s small-school cousin, the NAIA, which does include competitive cheer and dance as well as bowling – all once controversial in the “is it a sport” debate. In a nod to the growing esports movement, the NAIA posted an article in 2014 about the pioneering Robert Morris University’s addition of esports to its varsity sports lineup. Even more telling, it sponsored the National Association of Collegiate Esports 2019 annual convention. Despite its tight definition of sport, the NCAA appears to be edging toward accepting esports as a varsity collegiate sport. In 2017 it's Peach Belt Conference hosted the League of Legends championship in sold-out NBA-sized arenas. The PBC now includes esports on its official lineup of supported sports. Can other conferences be far behind? In part due to Riot Games creating its own College League of Legends organization, the NCAA is reported to be taking a long, hard look at bringing esports into its fold. How serious are they? In October 2018, the NCAA’s Board of Governors held an in-depth meeting on the consideration. Among the topics: How to structure an NCAA esports championship. And should esports be a fall, winter or spring sport? In the meantime, Ohio State went around the NCAA, partnering in 2018 with the Electronic Gaming Federation. EGF now operates two distinct divisions: EGFH for high school esports and EGFC for college esports competitors. A clear sign of the times, collegiate esports even has its own organized governing body, the National Association of Collegiate Esports (NACE). Founded in July 2018, the nonprofit’s goals are straightforward. 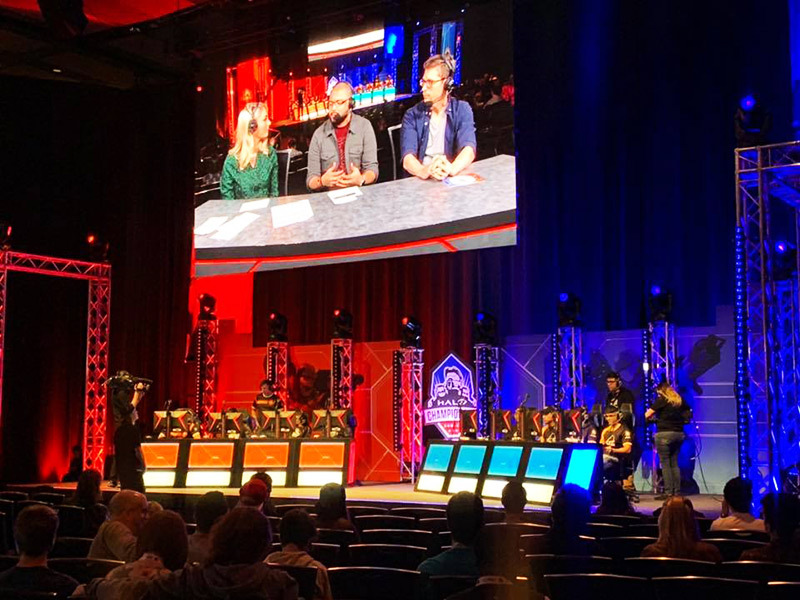 It aims to benefit its member institutions by “developing the structure and tools needed to advance collegiate esports in the varsity space.” NACE is working with members to form standards for eligibility, graduation pathways, competitions, and scholarships. Where Should Your Program Live: Athletics, Academics, or Student Life? Colleges themselves have been rapidly ramping up their esports participation. In 2016, just seven schools had varsity esports programs. By 2018 there were 63 colleges and universities competing with varsity-level esports. NACE now has more than 130 member schools. The National Federation of State High School Associations (NFHS) is the governing body for most high school sports in the United States. While it serves as an umbrella for education-based athletics and activities, only three listings qualify as the latter: music, speech/debate/theater and spirit. The others are common sports ranging from Baseball to Wrestling. The NFSH maintains an addition category labeled “other sports,” which includes bowling, esports, golf, and tennis. There you have it. The lead arbiter of high school athletics says esports is a sport. High schools and higher education, it seems, are on a parallel path with regard to the inclusion of esports. They’re just a bit behind their higher-ed counterparts. And there’s a bit less centralized management. Several organizations currently compete to offer league participation to high school students. The High School Esports League (HSEL) claims to be the largest, with over 1,500 members. Relative newcomer PlayVS made a big splash with its exclusive contract with NFHS. 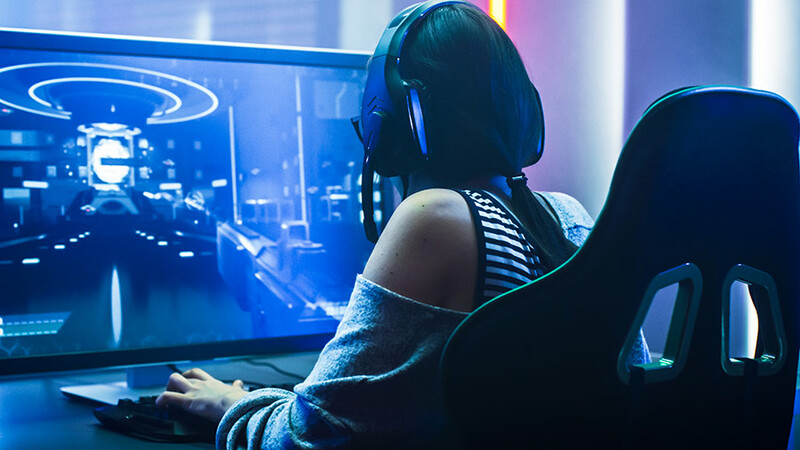 Other esports leagues offering high school tournament play include the High School Starleague (HSEL), Youth Esports of America (YEA), the Electronic Gaming Federation for High Schools (EGFH), and the North American Scholastic Esports Federation, (NASEF). Each offers a range of tournaments for popular games like League of Legends, Overwatch and Fortnite, Hearthstone, Rocket League, Super Smash Bros. and DUCKS NHL. In addition to these nation-wide leagues, some states and regions offer organized high school esports action. For example, Orange County, CA, Connecticut, Illinois, Ohio, and Michigan, have established esports leagues. It turns out that sport may, in fact, be a cultural construct. Ask “what is a sport” and the answer changes across time and geography. Bullfighting, after all, is the national sport of Spain. Ancient Mexicans played “field hockey” with a flaming ball. A generation ago, the idea of skateboarding in the Olympic Games would have been unthinkable. (Yet the International Olympic Committee has approved its inclusion in the 2020 summer games.) In the U.S., the popularity of the NFL is waning. Esports viewership is expected to surpass all pro sports other than the NFL by 2021. I was a good high school athlete. I’ve played sports at the collegiate level. I’ve also coached varsity sports for ten years. I also enjoy playing video games on a competitive level. I’m pretty good at those, too. Having a foot in both worlds, I have no problem saying esports is as valuable to a student’s social/emotional development as any other sport. Esports athletes are athletes. All the social/emotional learning and soft skills I developed in football, wrestling, track, and rugby can be developed through esports. Let’s take a final look at the criteria for sport outlined above. Physical athleticism and/or physical dexterity and skill. Check. Esports requires dexterity, quick reflexes, and physical stamina. Structure. Check. There are numerous collegiate, high school, and recreational leagues and governing organizations. Standardized/agreed upon rules. Check. The aforementioned organizations and leagues have developed standardized esports tournament formats and rules. Competition between two or more individuals or teams. Check. There are hundreds of esports leagues, thousands of esports teams and countless numbers of esports athletes in the U.S. alone. Scorekeeping or other assessment to determine a winner. Check. Esports games, leagues, and tournaments track performance and honor the victors. Providing entertainment for spectators. Check. 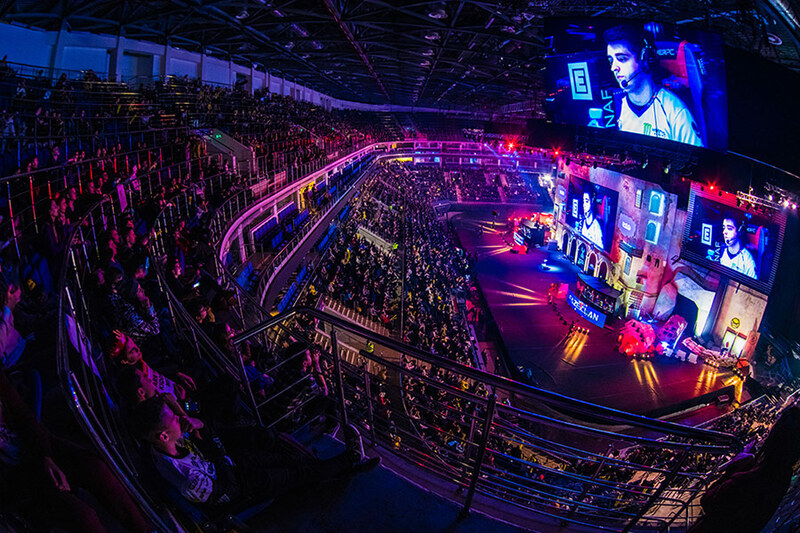 Millions worldwide watch esports for entertainment. 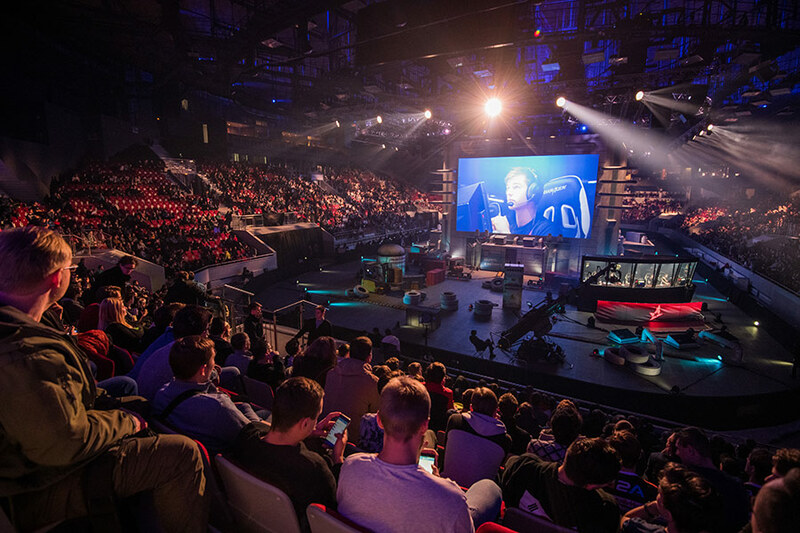 Massive media networks like ESPN, along with online media like Twitch provide broadcast, streamed and live-viewing of esports for spectators. What do you think? Is esports a sport? At the time of this writing, we say, you bet!